Pitchapalooza comes to Darien July 12. Be there. 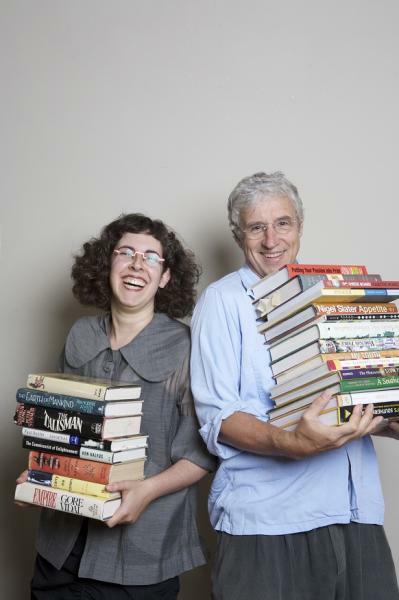 The Darien Library, which has regular events for writers, has upped the stakes in the “we help writers” arena by inviting literary agent Arielle Eckstut and author David Henry Sterry, AKA The Book Doctors, to the Library on Thursday, July 12th. Eckstut and Sterry are the creators of Pitchapalooza, which they describe as the American Idol of books. Briefly, anyone with a book they’re writing, an outline for a book or even just an idea for a book, can go and pitch their book/outline/idea. The catch? They only have one minute in which to do it. A panel of four industry insiders that includes Eckstut and Sterry gives constructive feedback on everything from idea to style to market potential and more. At the end of the evening, the Judges choose a winner, who receives a half hour consultation with Eckstut and Sterry. If you have a book or an idea for a book – go. If you haven’t – go. Because just listening to other people’s pitches will give you an idea of what’s involved in getting an idea across to a publisher. Everyone who goes will come away with concrete advice on how to improve their pitch as well as a greater understanding of the ins and outs of the publishing industry. Pitchapalooza has been held in venues across the country, to standing room only crowds. This is a terrific chance to see what all the buzz is about. P.S. While you’re at the Library, check out the Espresso Book Machine, which will print your book while you wait. The Book Doctors, co-founded by Eckstut and Sterry, is a company dedicated to helping authors get their books published. 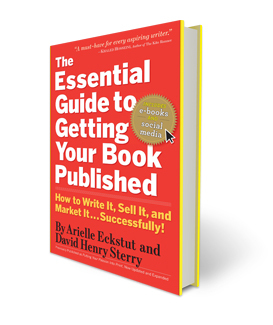 Their book, The Essential Guide to Getting Your Book Published, contains all the information you’ll ever need, taking you through the entire process of conceiving, writing, selling, marketing and promoting your book. Arielle Eckstut has been a literary agent for 18 years at The Levine Greenberg Literary Agency. She is also the author of seven books and the co-founder of the iconic brand, LittleMissMatched. David Henry Sterry is the best-selling author of 12 books, on a wide variety of subject including memoir, sports, YA fiction and reference. They have taught their workshop on how to get published everywhere from Stanford University to Smith College. They have appeared everywhere from The New York Times to NPR’s Morning Edition to USA Today.